CNN’s Brian Stelter was ridiculed on Twitter for his whiny response to a tweet President Trump sent about media conspiracies over first lady Melania Trump’s recent absence from the public eye. 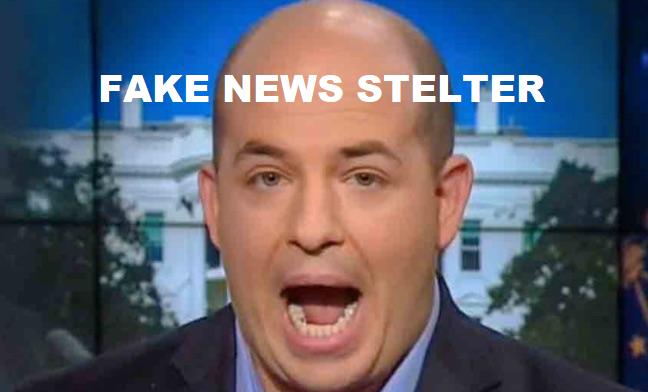 Stelter actually responded with what he probably thought was a “gotcha”, saying that the White House should provide links to the claims made by Trump. Athey then fired back with solid proof that verified reporters speculated on everything from a suicide attempt to domestic abuse being the reason for Melania staying out of the public eye for a few days. My “reliable sources” then went on to claim that tweets sent by reporters are not the same thing as published reporting, which was quickly shut down. “Oh for heaven’s sake we’re not idiots. You were all were obviously suggesting something was amiss when you reported on it. You opened the door for the speculation, and you did it with purpose,” another user added. CNN’s Brian Stelter’s “Reliable Sources” newsletter just on Sunday had a giant graphic of a calendar with question marks on each date showing Melania Trump was “last seen” on May 10. Beneath the graphic, the newsletter specifically stated The First Lady was expected to attend an event on Monday to honor Gold Star families. But lo and behold The first lady appeared at the event on Monday as scheduled. As well as Brian Stelter, Salon writer Bob Cesca, Rolling Stone senior writer Jamil Smith, New York journalist Natalia Antonova, Atlantic senior editor David Frum and professor C. Christine Fair are also among the ‘journalists’ and influencers who have pushed conspiracy theories regarding First Lady Melania Trump’s absence. Melania who is well known for being a very private person. The First Lady stayed behind on Friday when the President and a few family members traveled to Camp David for a weekend retreat. even though she hadn’t made a public appearance since before her five-day hospital stay after surgery for treatment of a kidney condition last month, she actually had been seen around the White House. Mr reliable sources has yet to respond to a request for comment. My bet is he won’t.